NB Please click on the hyperlinks below (blue text) for examples of my oral history work. I can tailor recording work to suit your purposes and budget; whether you are looking for a high quality recording with an interviewee to use for your own research or an edited podcast that can go straight onto your website or external sites such as YouTube and iTunes U. I can also provide a case study and a transcription to go with a recording and take photographs to accompany work, for example, if you want a portrait image of an interviewee. I also provide training in how to carry out oral history interviews (for individuals and community groups), create a digital archive and use archive photographs with recordings to produce historical audio slide-shows. My academic background is grounded in historical, social and cultural interests; I graduated from the University of Cambridge with a degree in History, and much of my BBC feature and documentary work centres on historical subjects. I have a particular interest in helping organisations to make their archive material available to a wider audience. Museums, university departments and heritage sites hold a wealth of oral history recordings and photographs that can form the basis for podcasts with pictures. These can then be used on websites, for visitor and educational purposes and even to sell as DVDs or CDs to raise funds for historic buildings and places. The organisations I have worked for include: The Arts and Humanities Research Council (AHRC), The Open University, The British Library, The National Gallery, The BBC, Bath Spa University and the National Centre for Coordinating Public Engagement (NCCPE). Subjects have ranged from the AHRC/ BBC Our Place in the First World War initiative, the British Library’s Wikipedian in Residence, The Darwin Correspondence Project, The National Gallery’s Making Colour exhibition and the AHRC’s theme areas such as Digital Transformations – how the constantly evolving digital age is changing access and exploration of our cultural heritage. John Lennon and his Quarrymen – A Picture from the Past. On the 6th July 1957 James Lewis Davis took some photos of a Rose Queen procession as it passed by his home on the way to St. Peter’s Church, Woolton, Liverpool. His son Rod was taking part in the procession as the banjo player in a local skiffle group. That group was The Quarrymen and its lead singer and founder was John Lennon. This audio slide-show features some of the memories of Rod, and his brother Bernard, and includes some of the pictures taken by their father on that day in 1957. We also hear from verger and administrator at St. Peter’s, Graham Paisley, about the Church’s connection with the story of the Beatles. Colin Hanton, the drummer with The Quarrymen, talks about his recollections, including rehearsals with the group at nearby Mendips, where John lived with his Aunt Mimi. 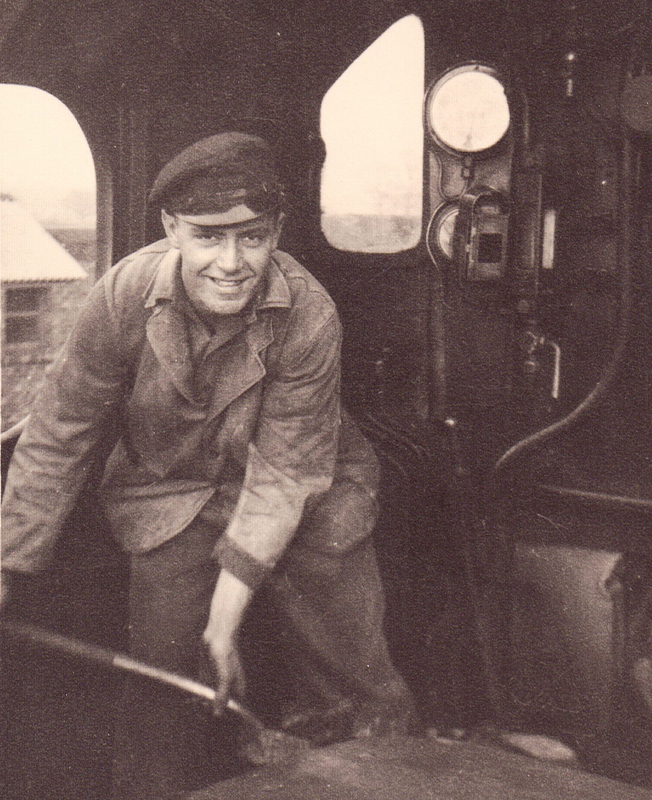 This is an oral history feature taken from a series of interviews with Gordon Shurmer,who worked as an engine driver during the steam era on the Great Western Railway. Gordon talks about the excitement of driving the King George V locomotive at 95 miles an hour and the gruelling physical work involved. The feature is accompanied by original GWR steam sound archive recordings (the interviews were carried out between 2007 and 2010). Andrew Gray talks about his experience as Wikipedian in Residence at the British Library. Elizabeth Smith from the Darwin Correspondence Project and Susan Whitfield from the International Dunhuang Project elaborate on how the academic community is increasingly embracing Wikipedia as a way of making research available to a wider audience. As part of the Arts and Humanities Research Council’s Connected Communities Programme, one project is discovering more about the stories and experiences of people who have faced adversity either through hard economic times or natural disaster. The work will help different types of communities deal with similar challenges in the future.This Audio slide show begins with an extract from an oral history recording featuring a former Royal Doulton employee.